My grandfather, who was a disarmingly intelligent but warm and selfless storyteller (not pictured), once told me of a concert he attended at some point in his youth. The recital took place in Düsseldorf, the city of his birth, and the pianist was Edwin Fischer. I can’t be sure of the exact date of the performance, but my struggling sense is that it would have taken place somewhere between 1918 and 1925. To insist on nailing down the specifics would be to crucify the moment, since so much of the meaning we draw from the past takes shape through a hazy layering of myth and fact. “all the old accumulated rubbish-years which we call memory, the recognizable I, but changing from phase to phase as the butterfly changes once the cocoon is cleared, carrying nothing of what was into what is…” ~ William Faulkner, Absalom, Absalom! My grandfather never relayed to me the details of the program itself, but one thing stuck with him for decades: Fischer had the younger members of the audience join him on stage. He invited them to gather around the piano to watch him perform an encore. With that warm gesture my grandfather found himself next to one of the old masters of the piano, youthfully spellbound by a performance of Bach’s Prelude and Fugue in C-sharp Minor (BWV 849) from Book I of the Well-Tempered Clavier. Listen here to Fischer’s 1933 studio recording of that very piece. When I listen to Fischer’s recording of the C-sharp Minor Prelude and Fugue, I suppose that a “curtain” of some sort does fall. But it’s a curtain drawn by the invariably limited reach of memory, drawn between me and the faded world of a childhood in Düsseldorf, between me and a Germany pre-‘33. 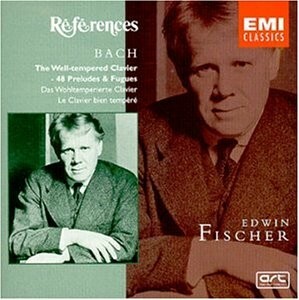 Edwin Fischer: Bach’s Well-Tempered Clavier, Books 1 & 2 (EMI). You can read a review of this CD issue here. These are the very first recordings of the complete “48.” The same performances have been reissued on the Naxos Historical label, but I haven’t heard them and am unable to speak to their sound quality. * Quote taken from Alfred Brendel’s “Edwin Fischer: Remembering My Teacher” (1960), published in Thoughts and Afterthoughts but legally fetched online. 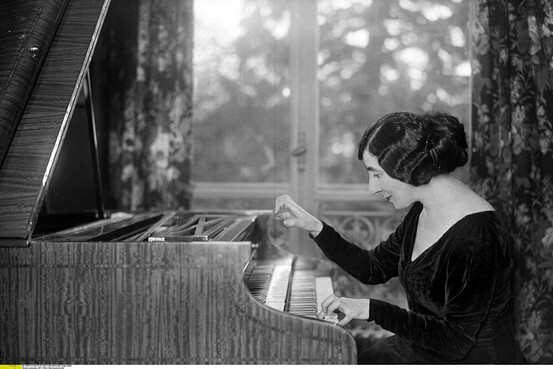 A significant 1907 black and white photograph captures a young Wanda Landowska seated at the piano. Behind her stands Russian literary giant, Leo Tolstoy, in the Cossack garb of his later years. The photograph was taken at the author’s estate, Yasnaya Polyana, by his wife, Sophia. That would have been just three years before Tolstoy would leave both his wife and estate behind, ultimately dying of pneumonia in a lonely railway station of the remote Russian countryside. The image of Tolstoy in his last moments is a lasting, if silent one: the final flash of a life that was everywhere marked by an introspective struggle with the apparent meaninglessness of human existence. In his A Confession of 1882, you can get Tolstoy’s own account of his spiritual development. The 1907 photograph also takes on something of a resonant note in the context of Landowska’s own life. For it was one of the few personal possessions she could bring with her to America, a few months after the 1940 approach of the invading Nazi forces forced her to flee her adopted home of Saint-Leu-la-Forêt. It was there, on the outskirts of Paris, that Landowska had founded her Temple de la Musique Ancienne, her school and concert house. Her longtime student, Denis Restout, recounts that the Nazis looted all of Landowska’s treasure – her numerous instruments, her thousands of books and manuscripts – and left not a wreck behind. In one of Landowska’s many 1940 recordings, we have one of the more remarkable musical documents of the era. 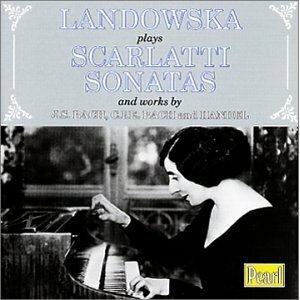 In the studio Landowska performs one of Scarlatti’s keyboard sonatas. In the distance we hear the sounds of bomb or artillery fire as the Nazis move in on the French capital. The bombs fall at approximately the two-minute mark. As the studio engineers run for cover, an extraordinarily concentrated Landowska completes the performance without missing a beat. Amazing. That recording must have taken place only hours before Landowska would leave France behind. In that sense, and like her cherished photograph of 1907, it anchors a would-be fleeting moment. These two snapshots of Landowska’s life remind me of the power of such historical documents: They capture, they anchor moments. And in allowing us to hear echoes of the past, they anchor us as well. Landowska at her Pleyel harpsichord in Saint-Leu-la-Forêt (1933). In November of 1933, harpsichordist Wanda Landowska put to wax the very first recording of Bach’s Goldberg Variations. It’s true that the Goldbergs, at least since the time of Glenn Gould’s historic piano recording for Columbia in 1955, have been widely recorded by pianists and harpsichordists alike. In fact, the market has been so inundated with stellar recordings of the Golbergs that I sometimes catch myself wishing that the record industry – to summon but one of the mercilessly many, inane slogans from the business world – would diversify its portfolio. But I know that it’s ultimately an embarrassment of riches, and I remind myself that in 1933, before the Goldbergs met the gramophone (and well before the levy broke) the public had very little opportunity to hear this great music. Audiences, for that matter, had very little exposure to the harpsichord, Landowska’s ultimate instrument of choice. Peering into the early twentieth century, we find a time in which the harpsichord was perceived as a relic of a bygone age. We find an era in classical music history that is often characterized as the golden age of the piano. 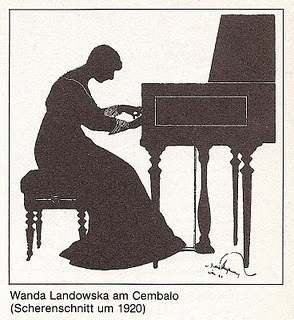 Landowska was instrumental in reviving the harpsichord as something other than a mere museum piece. By the time of her first recording of the Goldbergs, Landowska had already publicly championed the instrument for close to three decades. She had scoured Europe for clavichords, harpsichords and examples of other period keyboard instruments. Her years of study of the keyboard music and literature of the preceding centuries culminated in 1909 with the publication of La musique ancienne. Shortly thereafter, she commissioned the Pleyel company to build her a personalized instrument that was capable of greater dynamic range and tonal colour than more conventional, less muscled harpsichords. She exhibited four such Pleyels to American audiences during a tour of the US in 1923. You can hear one in action here in a sampling of her Paris Goldberg sessions of the subsequent decade. The Pleyel was a harpsichord in name, perhaps, but it had the capacity for sonics that were not proper to keyboard instruments of Bach’s day. Some chose to label it a “perversity,” and found equally perverse Landowska’s approach to Bach’s music: Landowska, high-priestess of Baroque music, played it like a hopeless Romantic (or so some thought). It’s true that Landowska was also sometimes guilty of taking a firmer-than-necessary stance on the nature of correct or proper performance. But the mythologized words above, so often taken out of context and even falsely attributed, were actually said in jest during an interchange with cello great Pablo Casals in 1941. 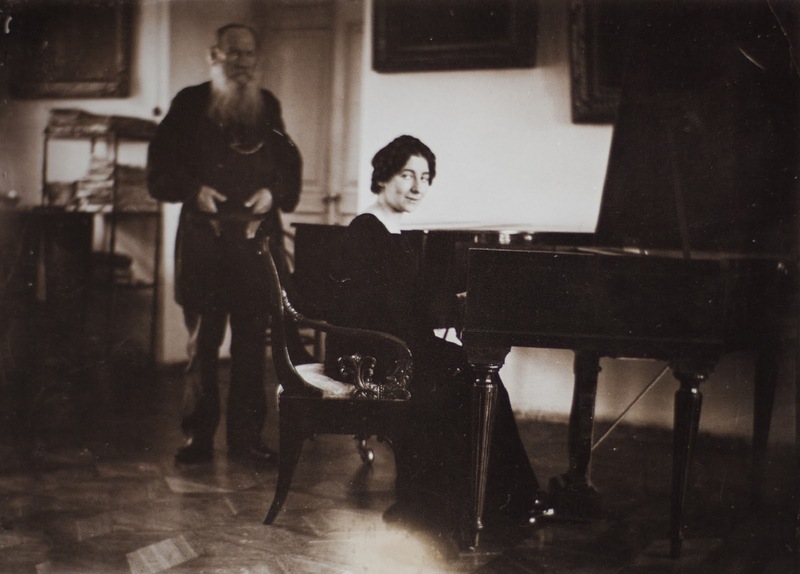 It turned out that in dusting off the harpsichord, Landowska had inadvertently laid the ground for a school of Historically Informed Performance that would imagine that its art had eclipsed her own. Myths of progress, myths of “proper” performance: In the extreme, they run counter to the notion of art as something in motion, bound to unfold in ways unforeseen. In coming to terms with the history of music, it’s as important to look ahead as it is to look back. And that, in my view, is yet another expression of artistry that is truly historically informed. If we can draw lines, if we can impose boundaries, then I see them as traced in sand rather than as set in stone. I still believe that the history of music is guided by a principle of process rather than of progress. Landowska’s 1933 recording of the Goldberg Variations – a work which she called “a secular temple of absolute music” – is an invitation to think it through all over again. * Quote taken from Frank Hubbard, “Reconstructing the Harpsichord,” in The Historical Harpsichord I, edited by H. Schott (New York, 1984), p. 8. ** Wanda Landowska, Music of the Past, translated by William Aspenwall Bradley (New York: Alfred A. Knopf, 1924), p. 5. My sense was that posters of this special kind were as rare as one-line descriptors of classical music history that extend from an inspired 12th century mystic abbess to the Grand Wazoo. Long story short: I cold-called Carissimi Publications; Jon Hofferman responded warmly, and I received the poster in three or so weeks’ time. With a nod to Giacomo Carissimi (1604-1674), one of the lesser-known composers of the early Baroque era, Carissimi Publications’ Classical Composers Poster is a real achievement: incredibly detailed, and on high-quality art stock, the whole is sequenced chronologically and helpfully colour-coded according to the generally agreed-upon level of a composer’s significance for classical music tradition. It’s as artful as it is useful – source of reference and labour of love alike. It now hangs on one of my apartment walls alongside two music greats: bluesman of the Mississippi Delta, Charlie Patton, and the notorious J.S. Bach. How best to pierce the surface of classical music? A good many people – among them some of my greatest music-loving friends – comment on how difficult it is to get into classical music. I have too much to say about this to get down to business here; and nothing will ever replace the experience of actually listening to music. But the poster’s one example of a valuable point of access, a gateway to a living tradition of music that often seems to have gone underground. It’s often difficult to approach the long history of classical music. Some might have the sense of not knowing where to begin or of stepping into a developed story midway. But we have certain markers that orient us: We have the setting and dawning of the centuries; and then there are signposts for the different periods (of Medieval, Renaissance, Baroque, Classical, Romantic and Twentieth Century). And while I tend to view this framework as relatively fluid, it can be helpful. Looking to the rich historical past sobers us up from the siren call that music is a perfect mirror of beauty, say, or the romantic notion that artistic genius is somehow independent of history. Genius, history tells me, is a matter of influence and of education as much as it is one of creative independence and imagination. The Classical Composers Poster reminds me of the importance of music history – of tradition and the individual talent. It was Hegel who first recognized the history of philosophy as a valuable philosophical pursuit in its own right. Up to his day, philosophy students were largely trained in logic, aesthetics, metaphysics and the like – but by way of primers or textbooks (essentially, “how to” manuals) on the branch of philosophy in question; but its history was silent. It was all rather like hearing echoes without the sound – with neither a sense of origin nor of context. Music, too, can be approached by way of its history. I write this as someone who’s functionally illiterate in terms of music notation; I have as little formal knowledge of counterpoint as I do of harmony. But its history has been anything but silent to me. I hesitate to say that the Classical Composers Poster is a great source of information alone, if only because “information” is a term that’s bandied about quite thoughtlessly these days. This isn’t just information: It’s memory, history and culture. 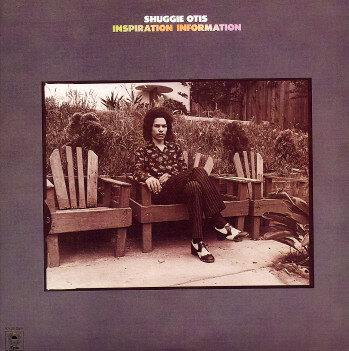 It’s what a largely forgotten 1974 R&B album by Shuggie Otis calls Inspiration Information. (You can take in the title track from that brilliant album here.) And like that album, the Classical Composers Poster stands as a reminder that the musical well may very well be bottomless.